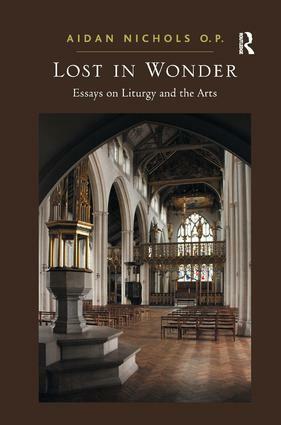 By Aidan Nichols O. P.
This book explores the Liturgy as the manifestation by cultic signs of Christian revelation, the 'setting' of the Liturgy in terms of architectural space, iconography and music, and the poetic response which the revelation the Liturgy carries can produce. The conclusion offers a synthetic statement of the unity of religion, cosmology and art. Aidan Nichols makes the case for Christianity's capacity to inspire high culture - both in principle and through well-chosen historical examples which draw on the best in Catholicism, Eastern Orthodoxy and Anglicanism. Aidan Nichols has written a wealth of books on topics of the Church and the Arts, and of Liturgy, since his first book 'The Art of God Incarnate'.